harboured bullies. 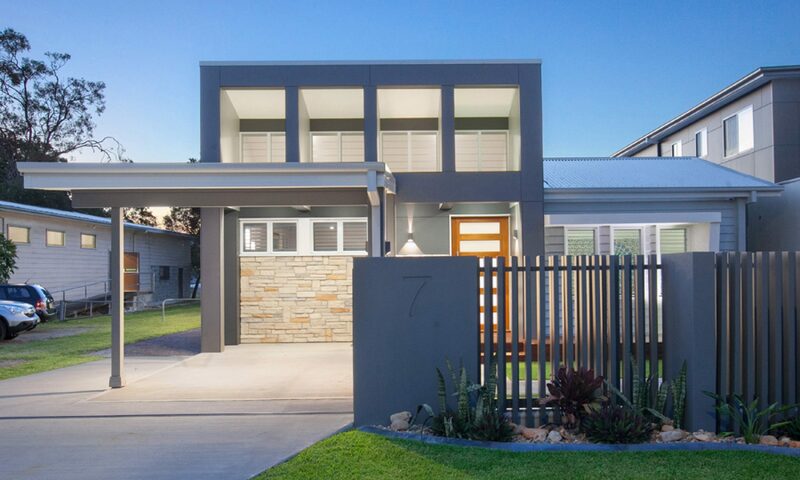 This project sought to dramatically alter that situation. 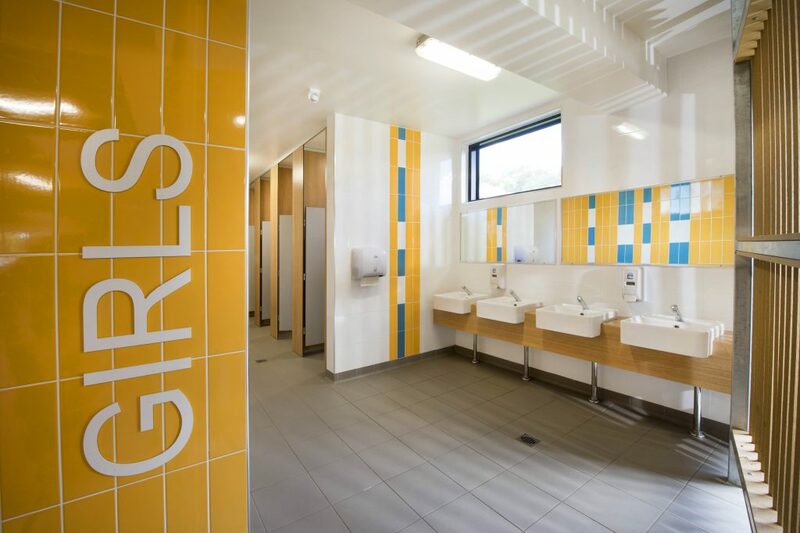 Central handwashing areas have been opened up by replacing walls with screens to allow casual surveillance. Floor to ceiling divisions between the stalls improve privacy. Extra space outside the stalls provides room for students to circulate comfortably. Light and bright, durable finishes bounce light around and lift the overall quality of the spaces. complete rebuilding of the Boys Amenities . 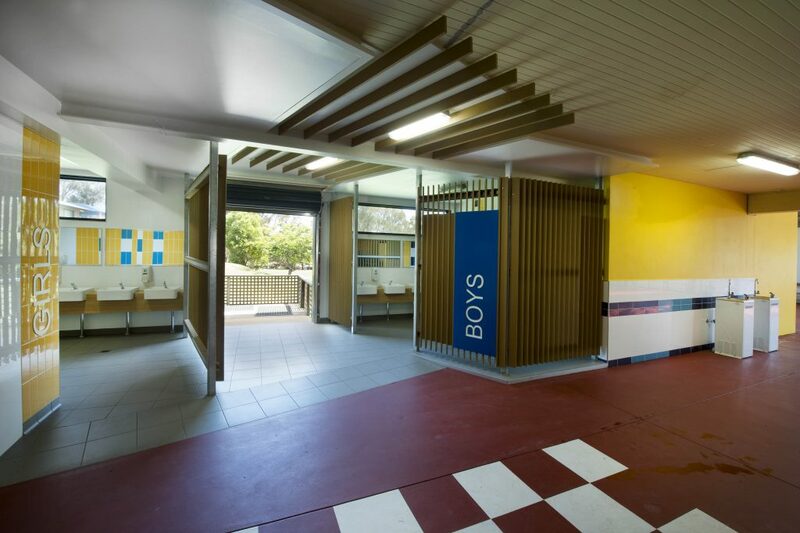 The Boys Amenities were also relocated to create a pleasant undercover eating area adjacent to the school’s canteen. 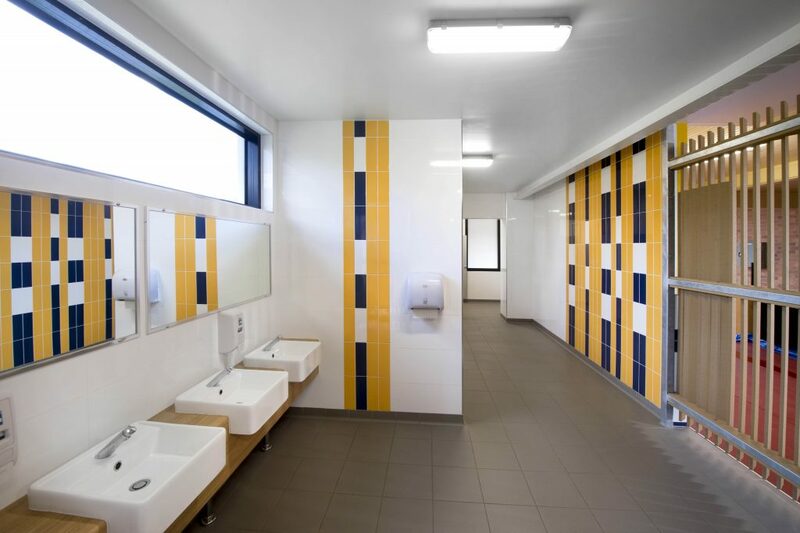 The design of the new amenities has reduced bullying at the school, increasing the use of the amenities by the students and freeing up the Principal ‘s valuable time.